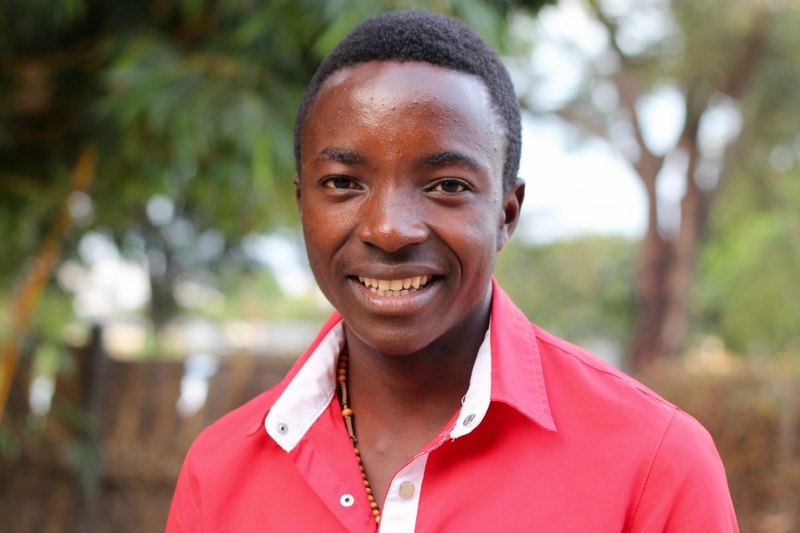 In year nine of secondary school, Gilbert traveled to Solwezi for a math competition, earning first place in his district, second in the province. His passion for math and business stuck with him through year 12, and he planned to follow his passion all the way to university after graduation. Alas, tragedy struck the day before he took his final exams. Gilbert’s uncle, his educational sponsor, died unexpectedly. “I wrote my exams in sorrow,” he says. Even then, he passed with high marks the eight-subject assessments—math, English, civic education, commerce, geography, foods and nutrition, chemistry and physics, and biology. With his educational plans on hold, Gilbert, 20, is working temporarily at the parish of Our Lady of Fatima. He cheerfully cleans the grounds, sweeps the convent floors, feeds the chickens—all while dreaming of being an accountant. Soon, the parish’s permanent caretaker will return, and Gilbert will return to Chilena, the small village near Zambezi where he lives with his grandma, mom, and little sister. He will help his mom raise cassava and maize on their small plot of land while he figures out a plan to pay the 5,000 kwachas (about $535) per year for university. It’s the one math problem he can’t seem to solve.